45D (11,5D US) (10.5E UK), fuer den mittel-breiten Fuss. 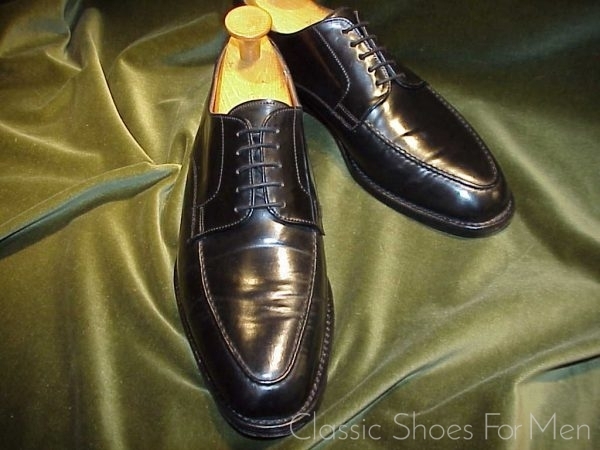 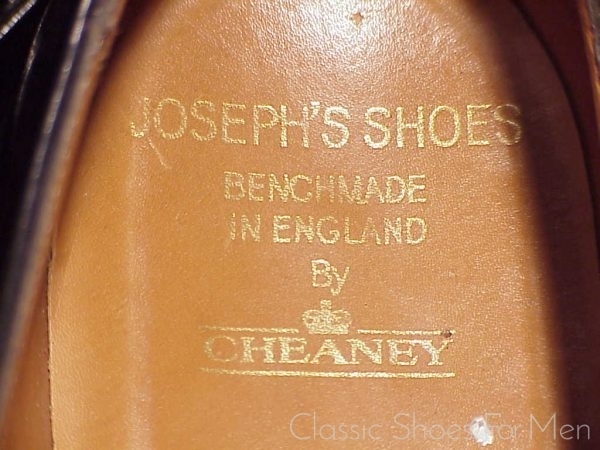 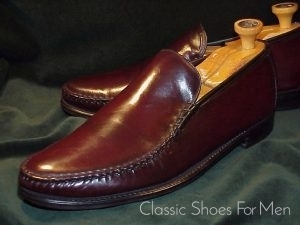 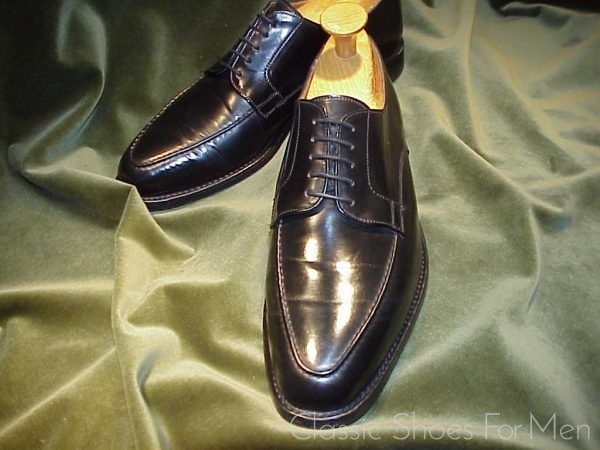 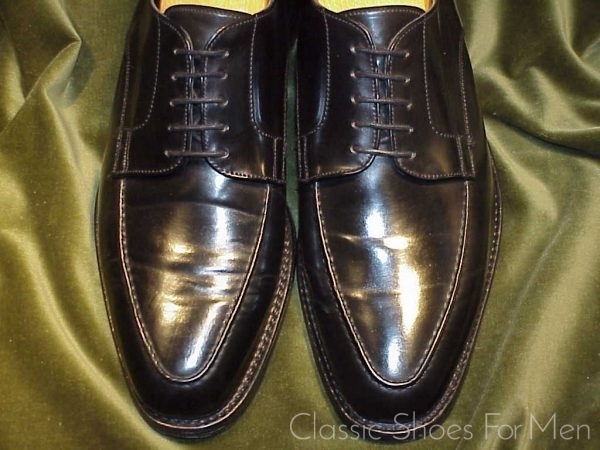 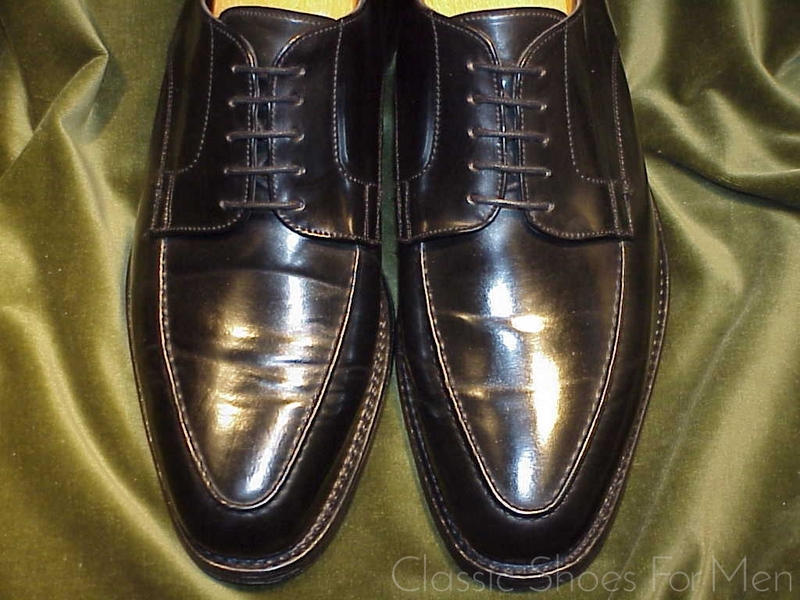 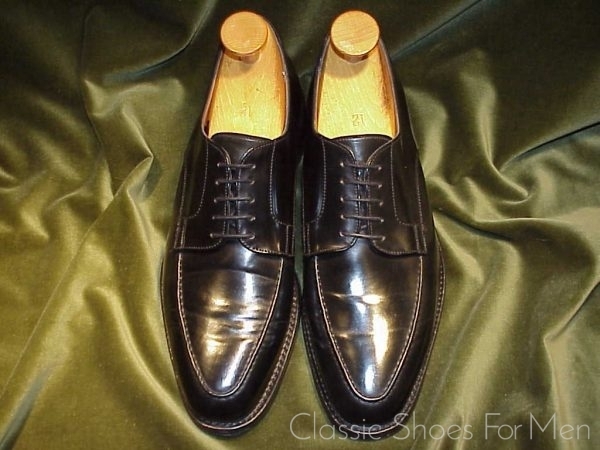 Cheaney, now a part of the Church’s Group produces a fine product in the Northampton tradition and this particular shoe, in shell cordovan, promises to serve for decades to come and only look more beautiful with the pasage of time…as one would expect of this wonderfully durable materiel. 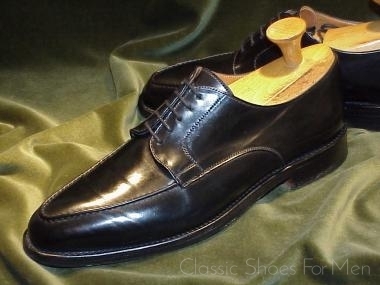 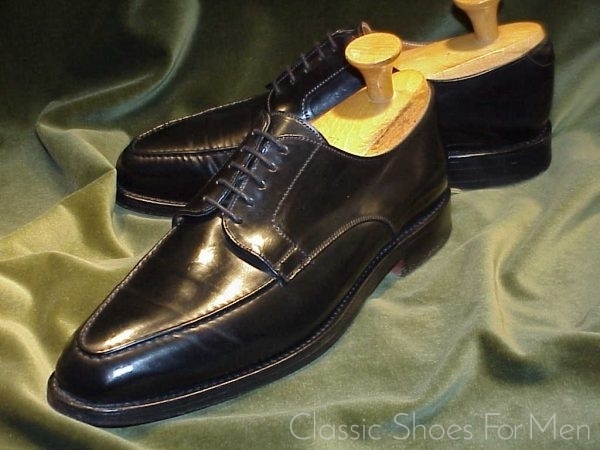 The overall effect of this model, the Norwegian, is less formal than, say, a cap toe oxford, and thus more versatile, a good match with a wide variety of dress. 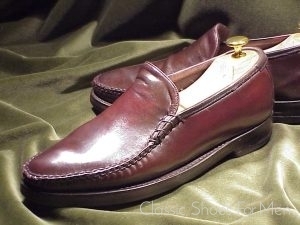 also, it must be said, this is a shoe for your lifetime. 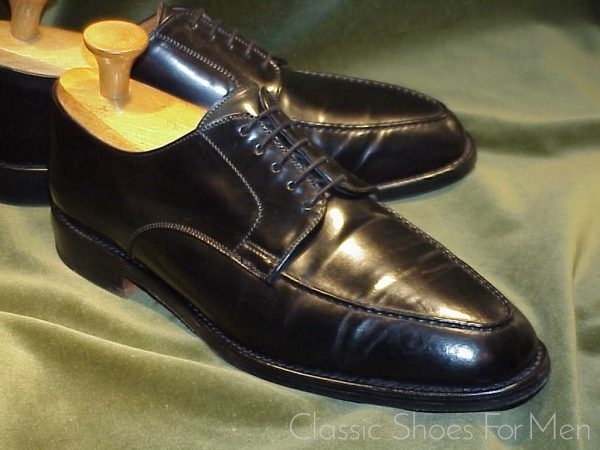 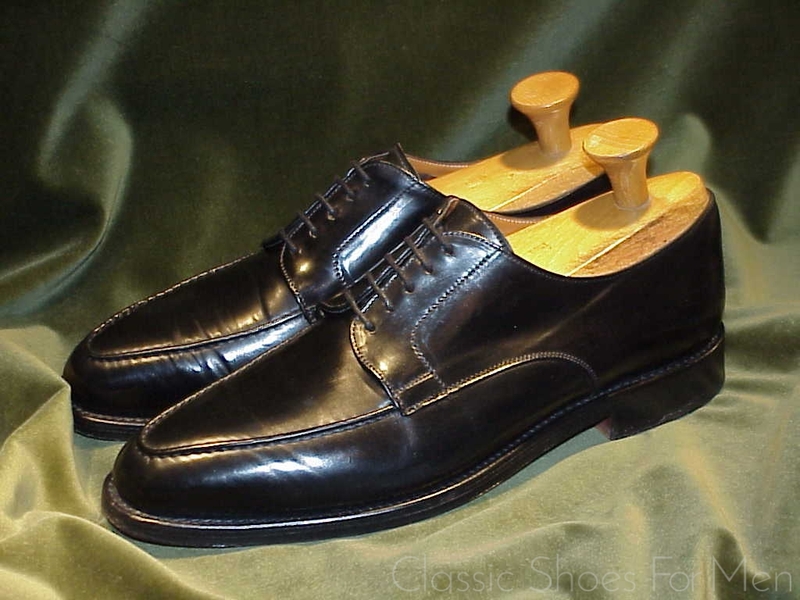 A Tip: Cordovan leather, because of its tight grain, is relatively impervious to wet and holds its shine longer than calfskin and so is a good choice when traveling with limited baggage..
11,5D US.......10.5E UK.....European 45D, for the medium width foot. 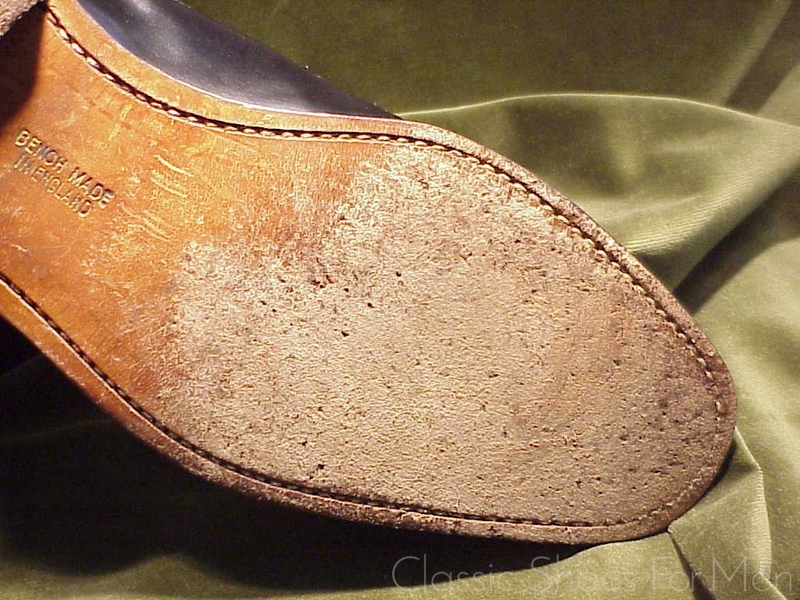 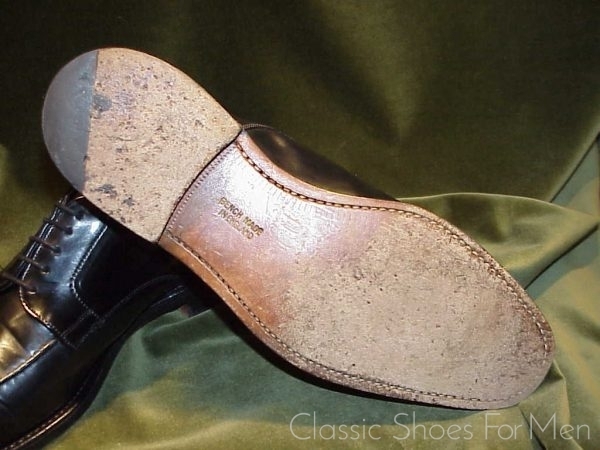 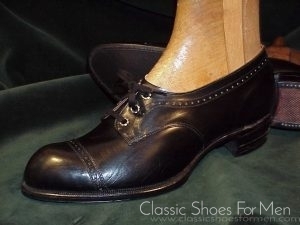 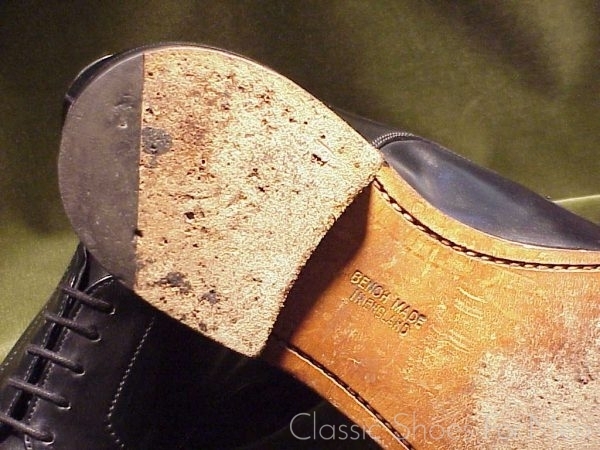 Superb; original sole and heel showing little wear.